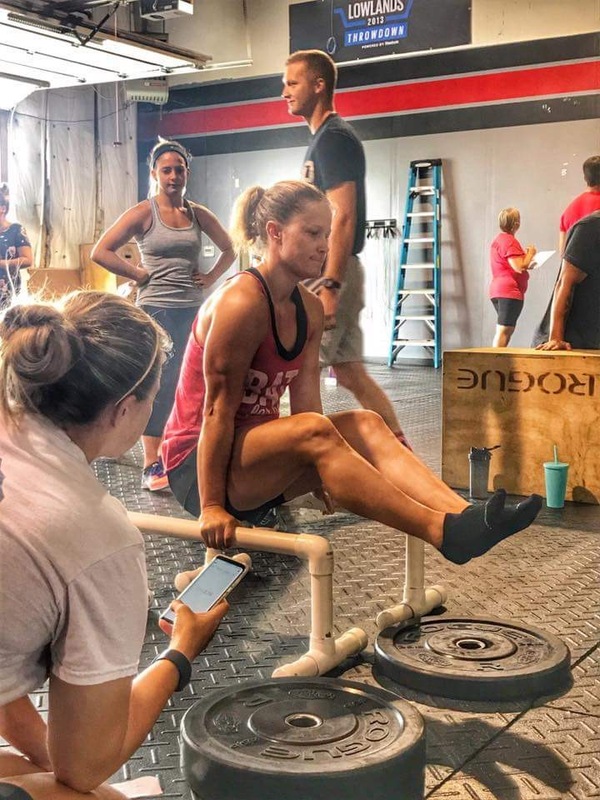 My CrossFit gym, Bombers celebrated their fourth anniversary and it was roughly my second anniversary of participating in CrossFit. To celebrate we had four team workouts which had us doing wallballs, deadlifts, pushups, pullups, squats, rope climbs and partner carry. Each workout was tough, but a lot of fun to workout and compete with friends. 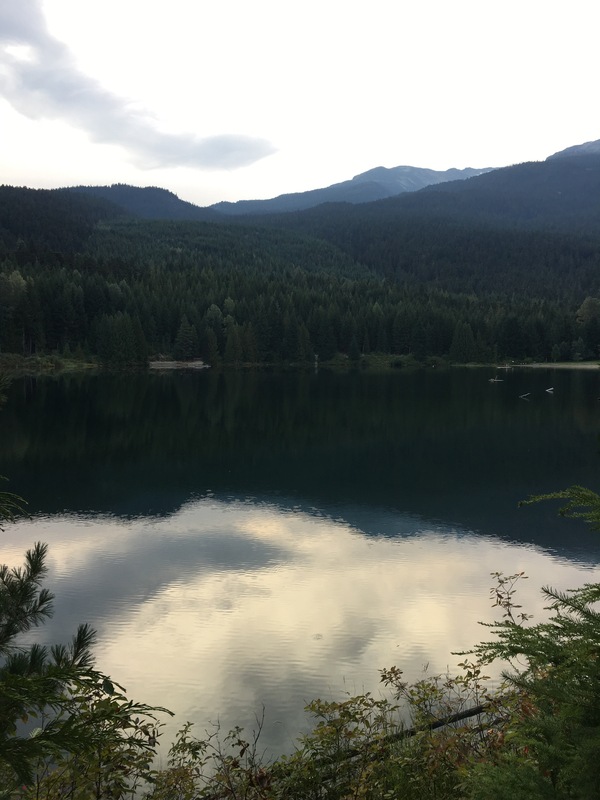 After my two feats of fitness, I decided to do a simple walk around the Lost Lake while I caught up on a few podcasts. It was quite brisk, but the views were worth it! Today I went on a hike with some colleagues up Blackcomb Ascent. 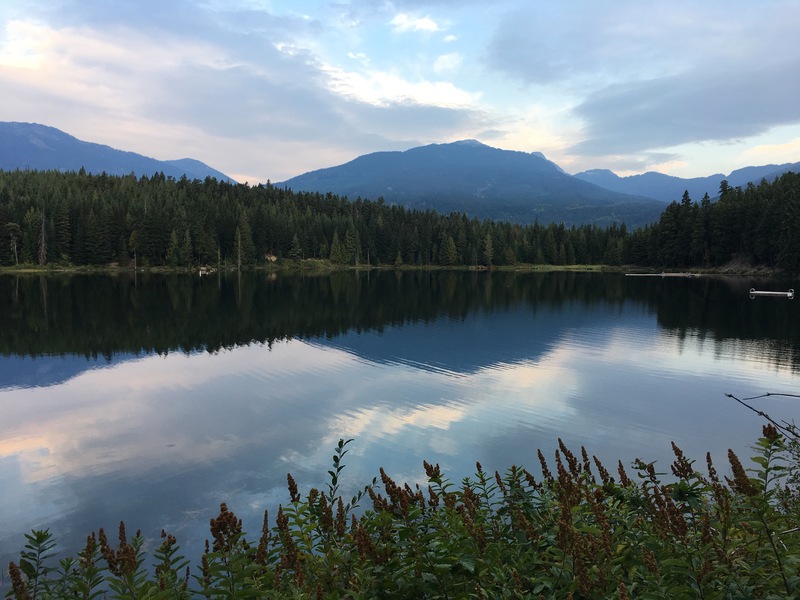 > The Blackcomb Ascent Trails are three interconnected uphill hiking trails that meander through beautiful old growth coastal rain forest terrain from Whistler’s valley bottom to the Rendezvous Lodge on Blackcomb Mountain. 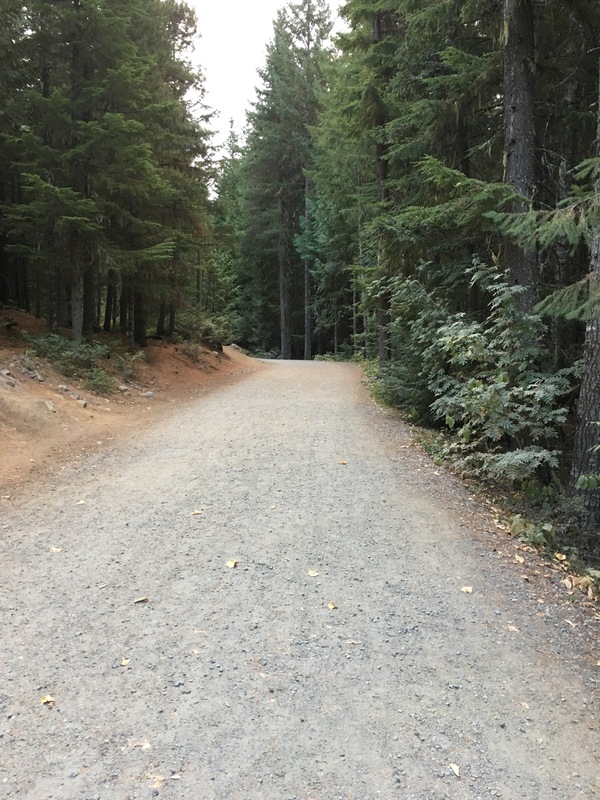 Upon completion, the trails will travel a total of 6.1km with a total elevation gain of 1,200 metres. It was definitely one of the hardest hikes I’ve ever done, but the views were worth it! Today I ran in the worldwide WordPress 5k with my colleagues. Finished in just under 23 minutes. Which I think is pretty good, considering the last 5k I ran was last year. 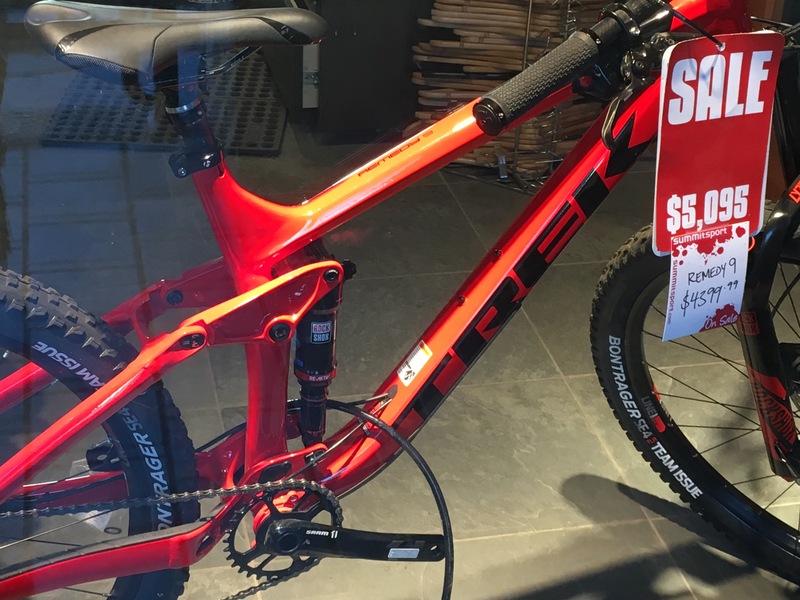 We had a scavenger hunt today with some teammates and we found this cheap mountain bike. 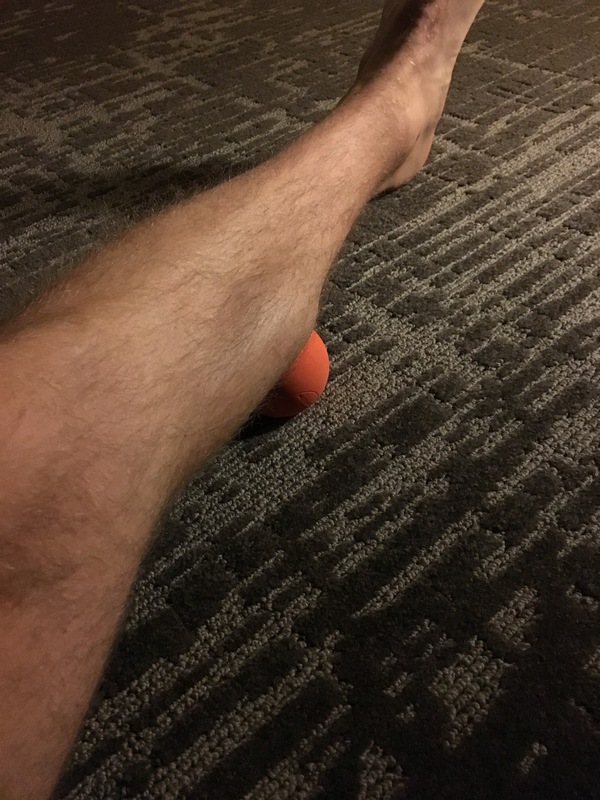 Glad I packed this lacrosse ball with me to relieve the tightness in my calf muscle. Woke up in the middle of the night with a huge cramp; probably from the dozen hours of standing at the conference. I’ve been working this month on a few CrossFit goals and I’m making good progress on handstand pushups. Handstand walk – blah. This one is hard. I have a hard time committing to the handstand and usually fall back on my feet. 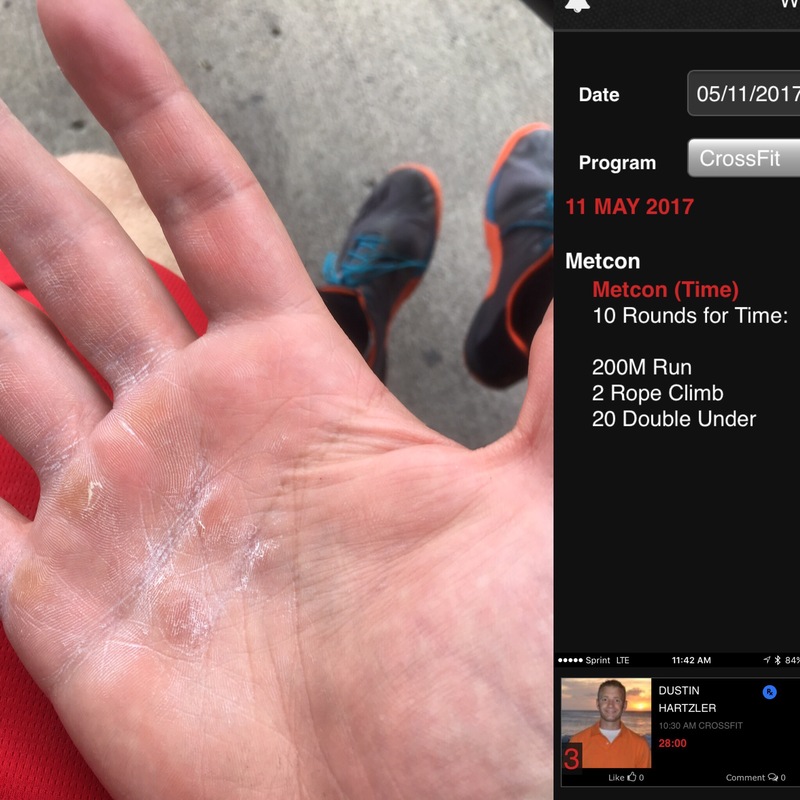 Muscle Ups – I did a ring MU with a four pound medicine ball between my feet, so I’m definitely getting stronger. 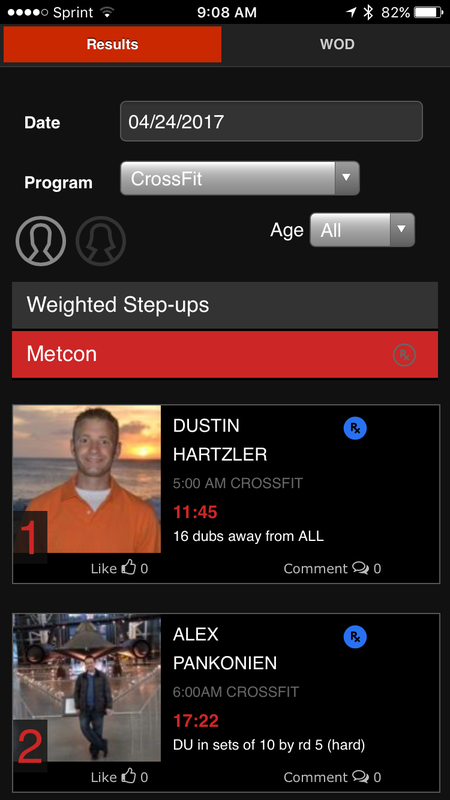 Tomorrow’s WOD had 5-4-3-2-1 of muscle ups and I’m going to try to go unbroken. I’ve been following the hundred push-ups challenge, in attempts it be able to do more of them. So far, I’m halfway thru week 4 and doing well! I have gotten pretty decent at most CrossFit moves, but I’m focusing on four in particular in August to get better. My plan is to stay after class a bit each day to work on a skill. Found with workout that will be great for traveling. 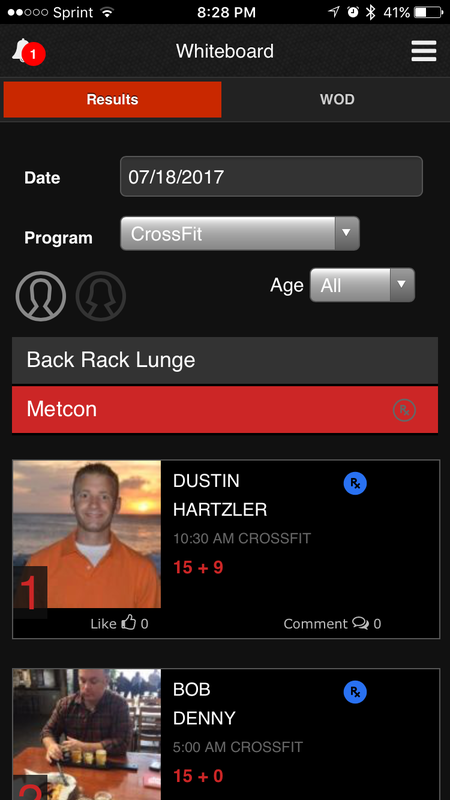 Today I participated in our gyms annual CrossFit competition. It was really hard. Yeah, really hard. But it was fun too. Here were the four events. This is a Bombers CrossFit special. I’ve done the workout twice in a scaled fashion, never the RX. The workout was five rounds of 17 back squats at 135 lbs and a 400 meter run. The tricky part was that we had to all squat in formation at the same time. The first few rows were okay, but rounds 3, 4, and 5 destroyed my legs. I was drafted to do the standing high jump. And even though it was 30+ minutes after the first event, my legs hadn’t recovered. I ended up getting 21 inches which was just short of 10 feet in the air. If I could have a step to approach, I’m sure I could have gotten 25+ inches. We had a pretty good strategy and I had a super human partner. I did 30 wall balls, then Travis did 90, then I finished it off with 30 more and Karen was finished. I moved straight to Annie and did 50 double unders and 50 sit ups. Travis did the next two rounds of 40 and 30 and I completed the last rounds of 20 and 10. Finally Travis did the hard pars of Fran, 21 thrusters, 21 pull ups and 15 thrusters. Then I did the rest of 15 pull ups and 9 thrusters and 9 pull ups. We got second in this workout and we were all exhausted by the end of it. 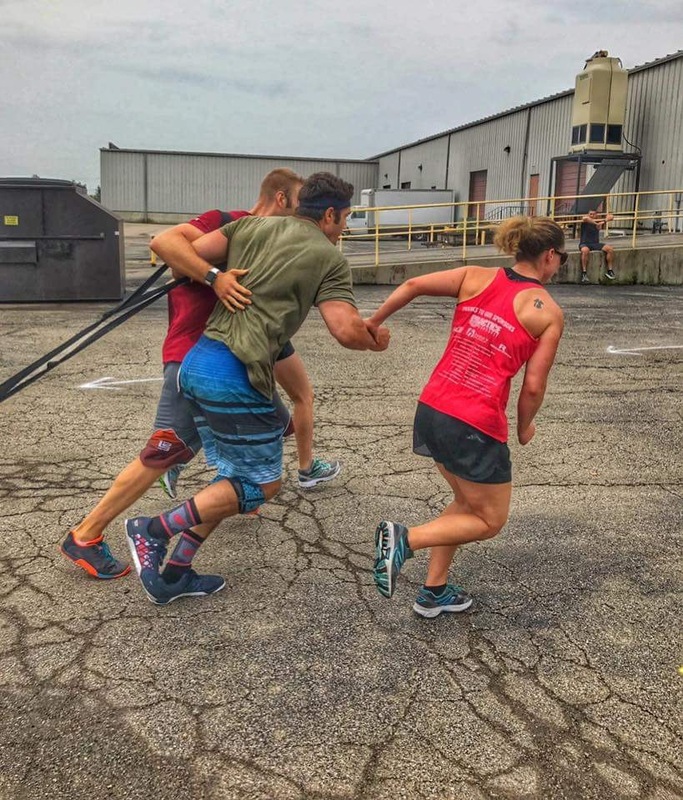 This was a goofy short event where we had to pull a sled with 180 lbs on it and maneuver around obstacles and twice pick the sled up and carry it over an obstacle. The twist on this one was we had to all for be touching the whole time. 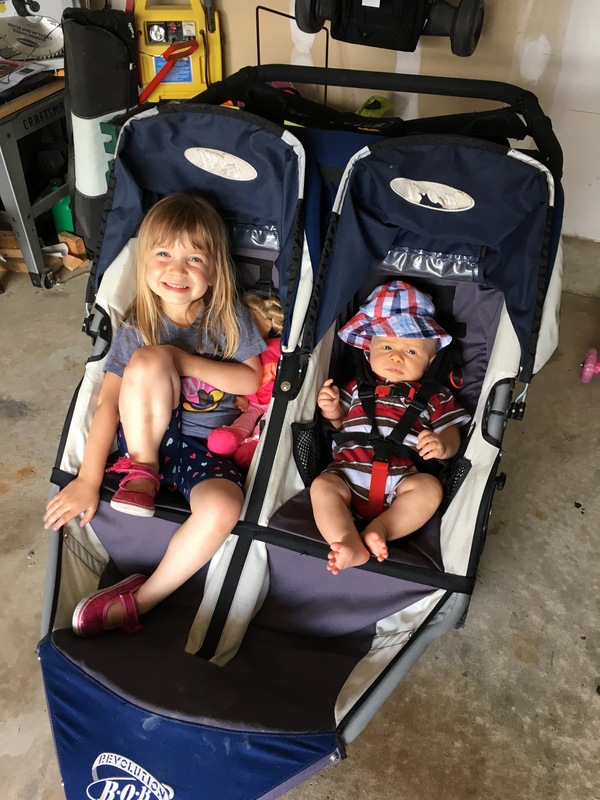 Since we had super strong Travis, he picked the sled up himself and we got first on this one. Overall it was a fun, yet exhausting day. I am not looking forward to seeing how my legs feel the next few days! In the first minute, you run one shuttle run length. The next minute you do two, then three and so on. I finished round 15 as time expired and got 9 of the round of 16. Another new toy, complements of BidFTA. 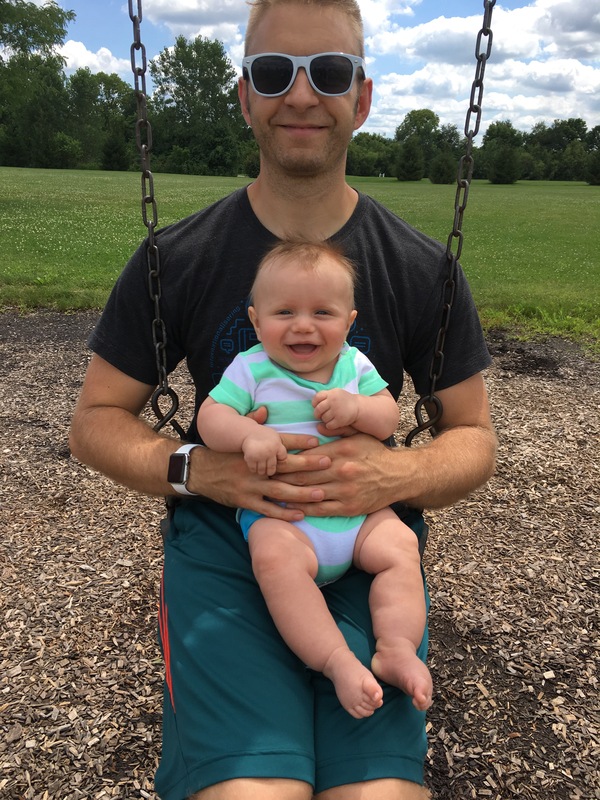 In today’s workout, it had 30 muscle ups. I did a combination of ring and bar, but I got all thirty of them. ‘Tis the time of year for 90%+ humidity days in Ohio. 70 degrees and 95% humidity during my morning workout completely drenched my shirt. Completed my first #murph workout @bombers_crossfit this morning. 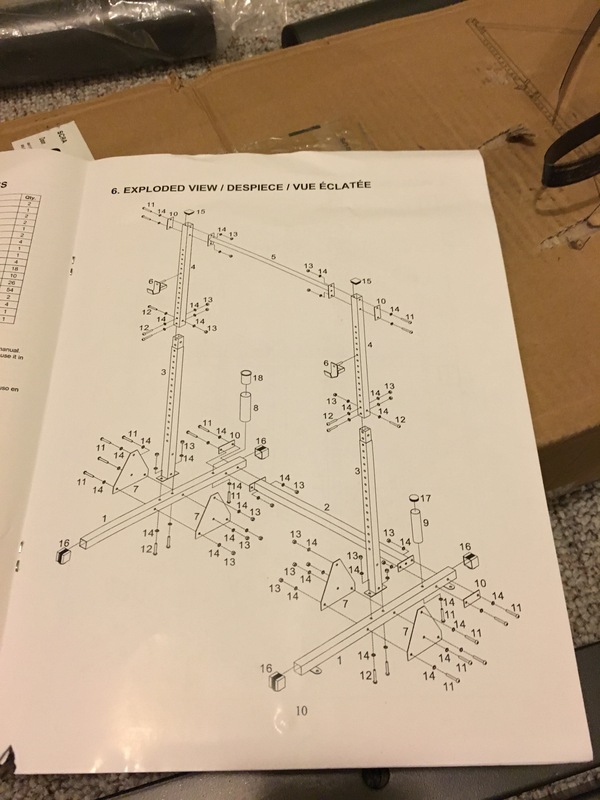 Definitely a challenge. 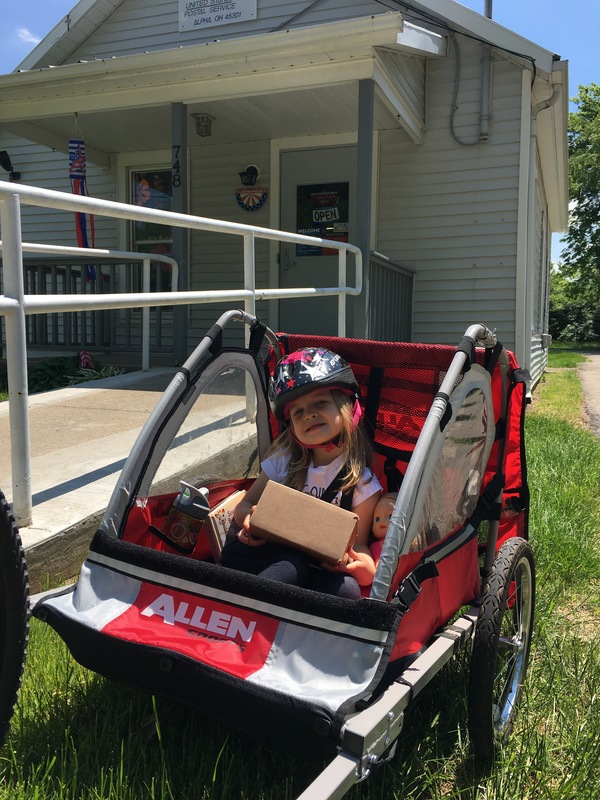 When your on paternity and it’s a beautiful day and you have to entertain a three year old for a while, we will take a long bike ride to the post office instead of driving 2 minutes. Rope climbs seem so much easier with chalk on your hands. 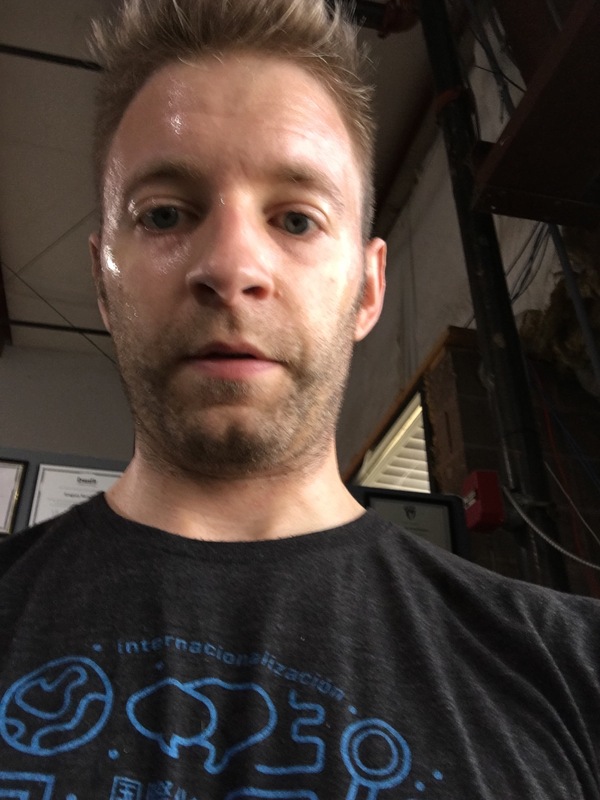 I had the fastest time for today’s CrossFit workout, until the afternoon class came in. 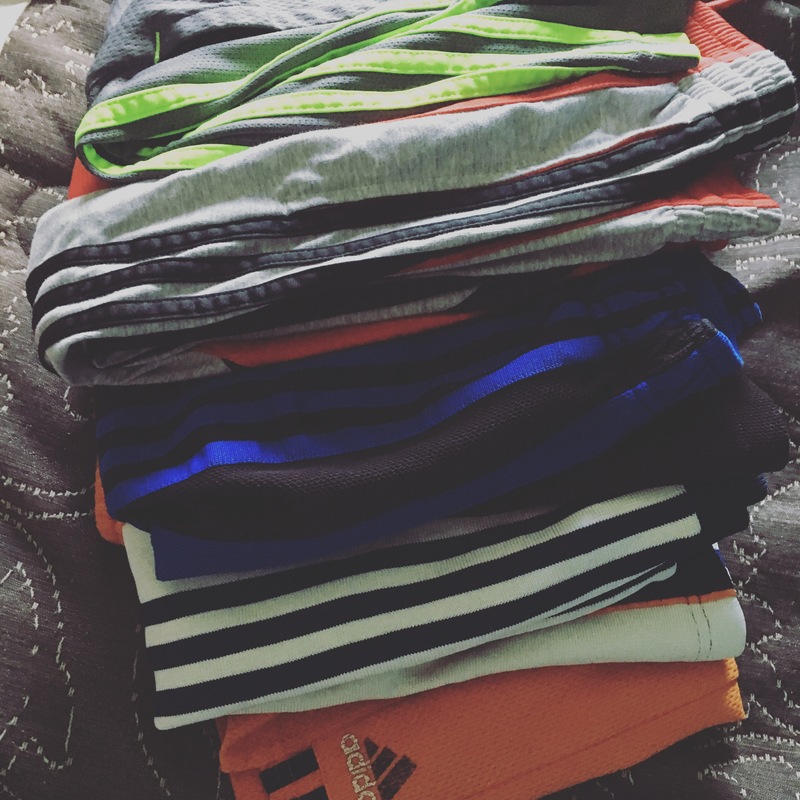 I think I need a few more pairs of Adidas athletic shorts. I didn’t quite finish, but I got 200 reps of the 225 rep workout in twenty minutes. 50 pounds was certainly heavy. One Open workout down, four to go. It looks really tough. Dumbell snatches and burpee box jump overs. It’s a lot of heavy one arm snatches, so that’s the move I’m most nervous about. 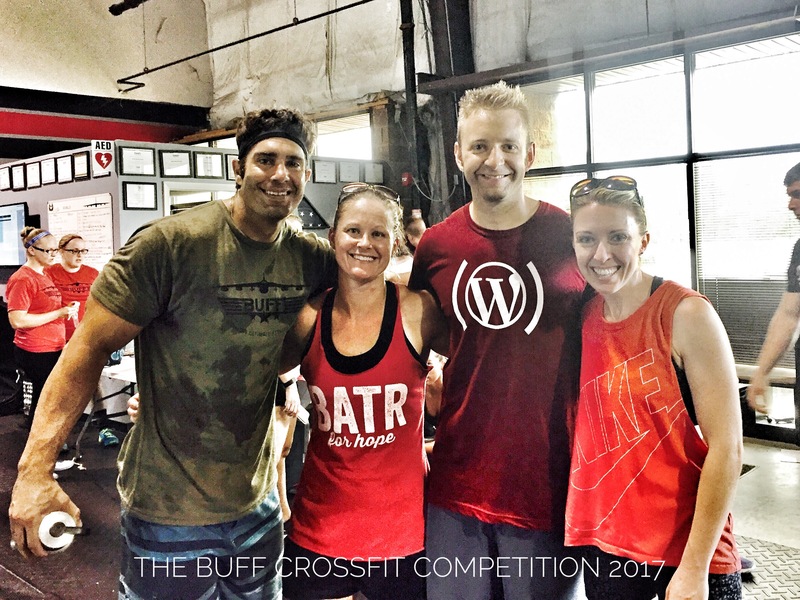 On Friday, the CrossFit Open begins. I’m excited to see how much stronger I am this year. As motivation, I’ve been watching Fittest on Earth today. Over the last few years, I’ve been a pretty clean eater. We’ve typically eaten gluten-free, with little sugar, and the occasional dairy. And in November, I challenged myself to eat gluten and sugar free and was successful for the entire month. Starting today, our CrossFit gym is doing a Paleo challenge for four weeks leading up to the CrossFit Open. Each week, we start with 35 points and for every “cheat” meal we have, we have to deduct 5 points. We get 10 points for coming to the gym (max 30 points per week). The winner will be based on the number of points, amount of improvement in the benchmark workout, and changes in body measurements. I got a notification on Wednesday about a new challenge from my Apple Watch activity app and as I looked at it, I realized that I had no data prior to getting a new phone at the beginning of November. It turns out that the data isn’t connected to your iCloud account and can only be added back to your phone by restoring from an encrypted backup. I exported the last two months of activity from my phone and saved it to my iCloud Drive. Then I followed the steps here to restore all my Health data since May 2015. Lastly I used this app to import the last two months of data back in. It’s all there now, but I’m missing almost two months of rings in my Activity app. Definitely better than losing the 18 months of data. Last week at CrossFit, we had a workout that had four different moves and each move had 100 reps. The moves were box jumps, pushups, situps, and lunges. For me, the pushups were the by far the hardest. 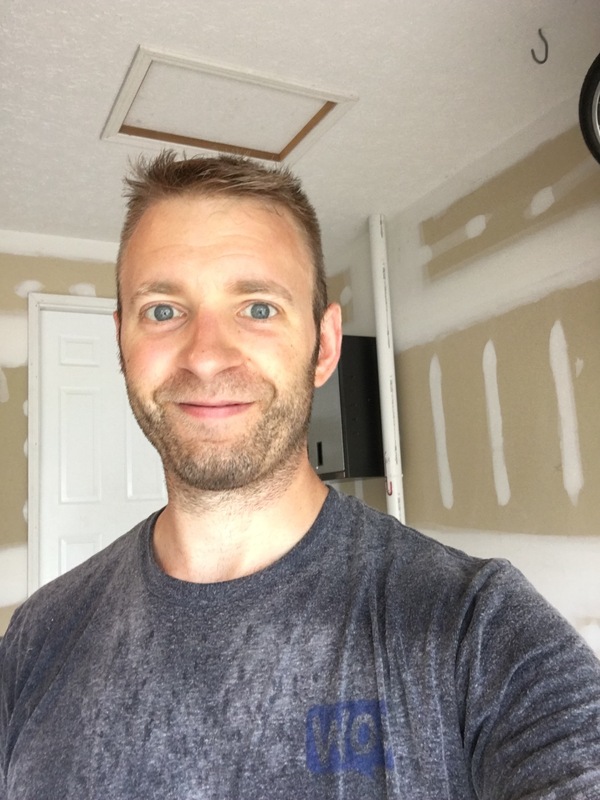 Since this a move that I can work on at home, I found the 100 Pushup Challenge. Over the next few weeks (and while travelling next week), I’m going work on getting strong enough to do 100 consecutive pushups. 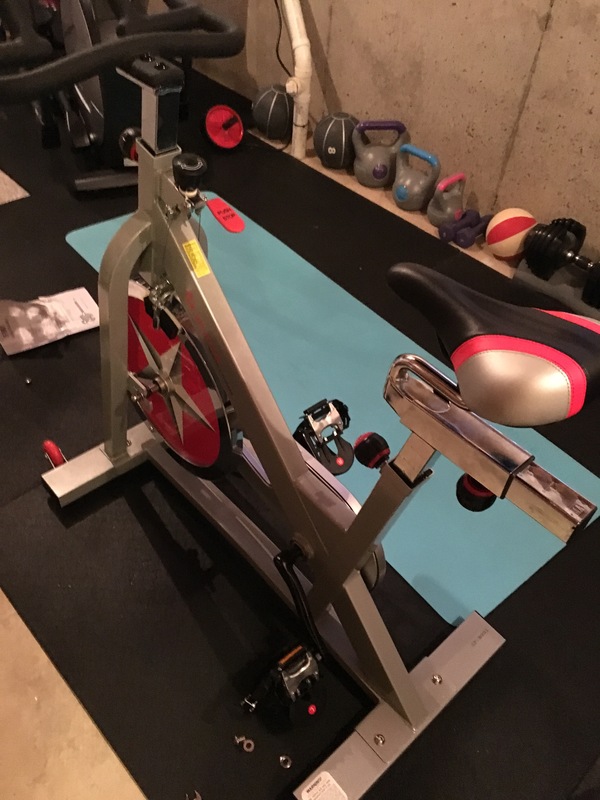 After doing the initial assessment, I was able to skip to week 3 to start the program. The last two rounds of 13 and 17 were tough! I’m excited to see how I progress thru July.